World-famous for its hill towns, scenery, cuisine and wine; there are a lot of reasons to visit Tuscany. 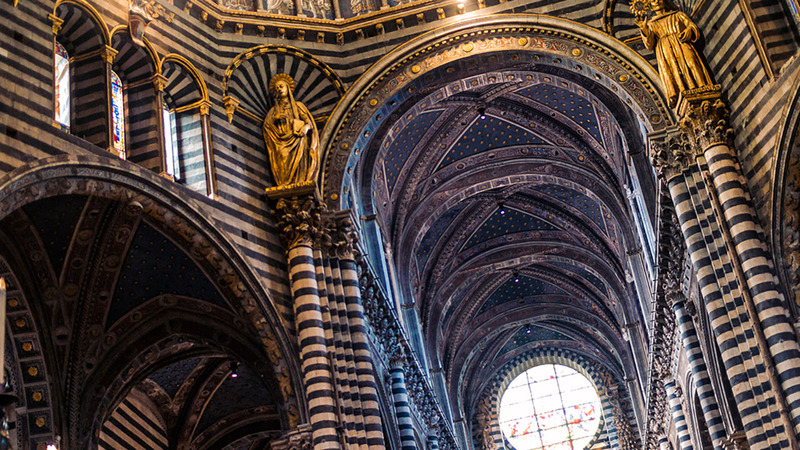 Experience ALL of these in the most authentic, relaxed way possible on our Tuscany tours from Florence. Taking the hassle out of your visit so you can sit back, relax and enjoy a glass of wine (or two). 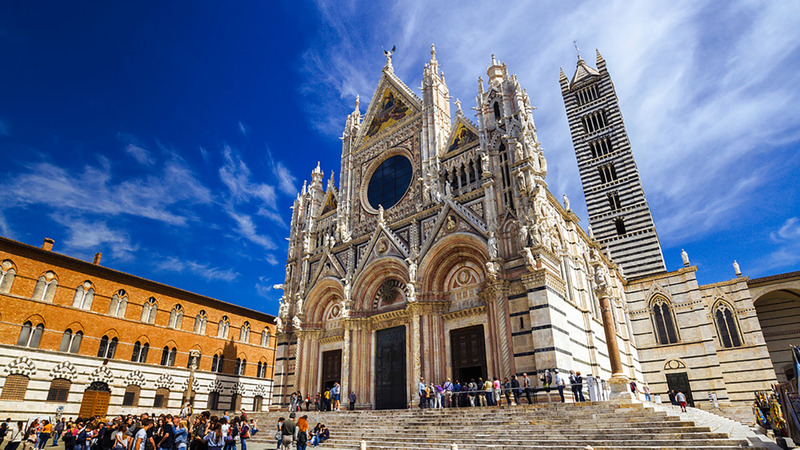 You’ll visit the beautiful medieval town of Siena, see its cathedral and wander its atmospheric streets; enjoy lunch and wine-tasting at an authentic Chianti farmhouse and vineyard; and explore pretty little San Gimignano. 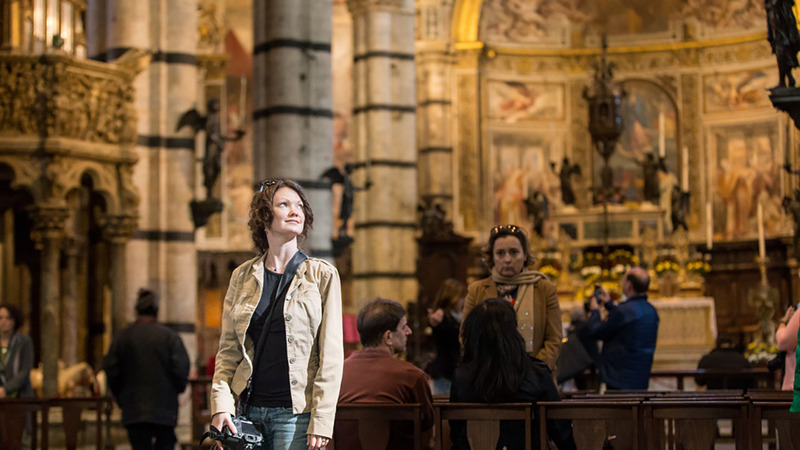 Throughout your day trip from Florence, you’ll be accompanied by a friendly, English-speaking Tour Leader. They’ll teach you about the sites you pass, the towns you visit and the food and wine you consume. Meanwhile, small groups of 18 or fewer & luxury air-con transport make for a more relaxed experience. Our day starts in central Florence, where you’ll meet your expert tour leader and small group of only 18 people. Then hop into a private minibus and head into the beautiful hill of Tuscany. Of course no Tuscany tour would be complete without a visit to the wine region! Famous for its wine of the same name, Chianti is a beautiful area full of rolling hills and picture-perfect farmhouses. It’s at one of these postcard spots we stop next! You will enjoy a tour of the farm, vineyards and wine cellars, before settling in for lunch and a guided wine tasting, included in the price of the tour. What you eat will depend on the season. Tuscan cuisine is famously linked to its produce, using the best and freshest ingredients for the most hearty, delicious dishes. This is Italian food at its finest. Then it’s on to the little town of San Gimignano, so pretty and architecturally significant it’s a UNESCO World Heritage Site. 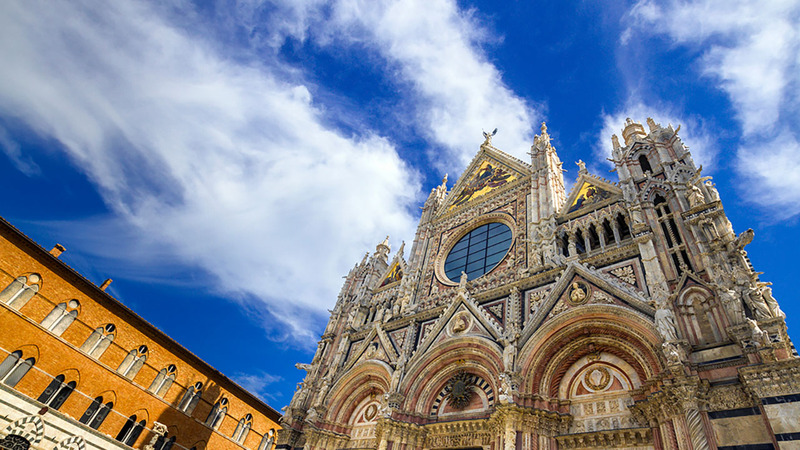 You'll enjoy a full tour of the city then have free time to shop for souvenirs or climb the city’s campanile for the other best view in Tuscany. From start to finish the emphasis of our day trip from Florence is on indulgence: Indulge in stunning scenery, delicious wines and lazy strolls on our all-inclusive Tuscan adventure. We’ve taken care of all the details so all you have to worry about is how much Chianti wine you can fit in your suitcase. Eriza was just incredible ! Fantastic tour ! Got to see and experience so much in so little time . Just perfect ! I really enjoyed it! Thank you Eris! The tour was very nice and Eris the guide was fantastic, communicative and professional, the customers were very happy, The time at disposal in each place is quite short but I think it was enough to have a nice experience of everything, of course, April is particularly good, as everything went smooth, there were no delays, no traffic, it was not crowded and even the weather was perfect. The driver Franco was also very good, cooperative professional and very helpful. A very good tour. The winery is not the typical villa or castle of Tuscany , but inside it was nice, the personnel was fantastic, the owner did his best to welcome the guests and present the winery personally and the guests for sure loved it, the food was excellent and they offered 7 choices of wine, which is really a lot, I am sure everybody was really happy. Eris was a wonderful guide. Very knowledgeable of the places we visited. Lunch and wine were amazing! I will highly recommend this tour to anyone traveling to Florence! If you are traveling with a small child and stroller, please let us know before booking as we will need to reserve space on the bus for both. 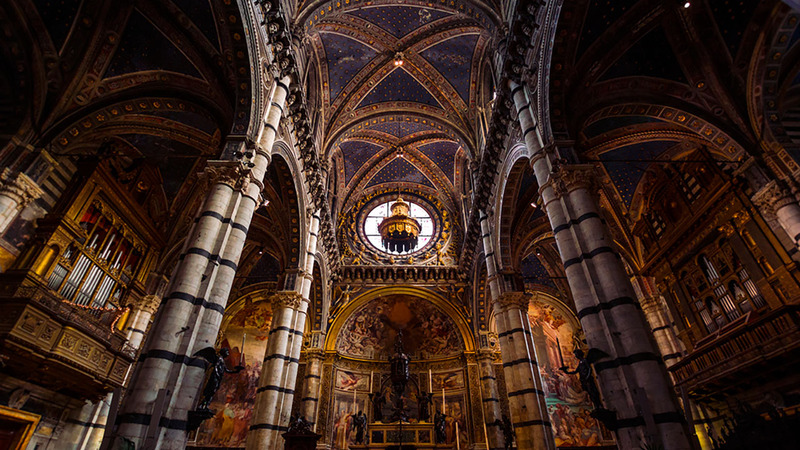 The Siena Cathedral is closed on Sundays and Festivities.